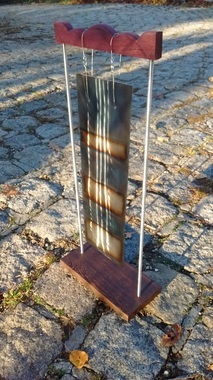 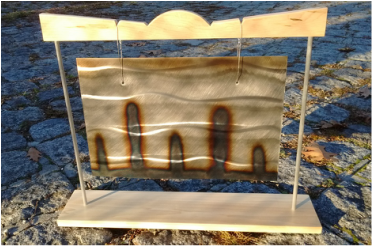 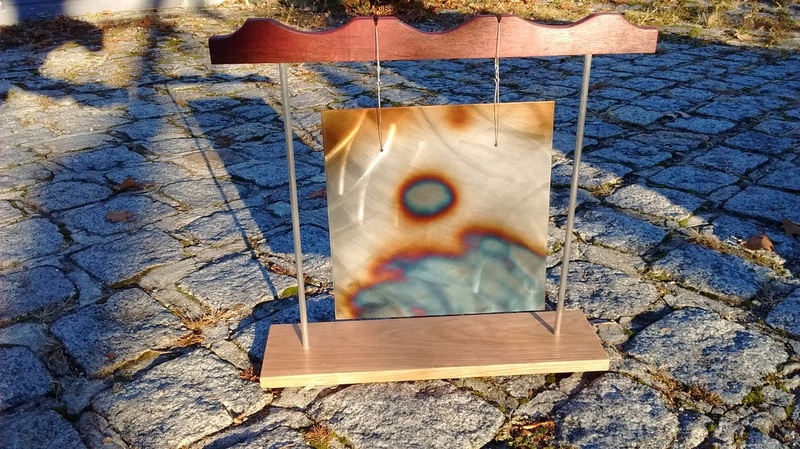 The principle design features in the steel gongs are the color schemes created using a blowtorch to induce a technique called "Fire Scaling". 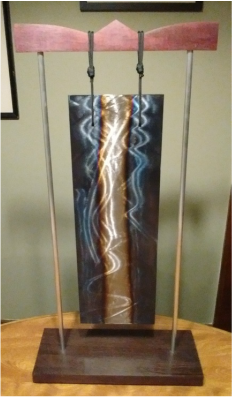 Each steel gongs comes with a rack and are meant to be kept inside. 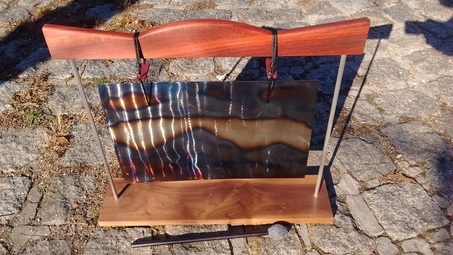 The gongs pictured below serve as models for designs you might want to request.